Traps are available for residents to trap and remove feral cats or possums that have taken up residence in roof spaces. To obtain a trap please visit the Department of Environment and Natural Resources website. Rats and mice can multiply quickly if weather conditions are right and food is available. You can help prevent them nesting and breeding on your property by taking a few simple steps. Pest control operators have other methods such as tracking powders, gels and fumigation that can be effective when other methods fail. The feral pigeon is a descendant of the domestic homing pigeon. The ability of this bird to easily adapt to urban environments has meant that their numbers have persisted and in some areas increased to pest proportions. Feral pigeons have easily adapted to the urban environment, and take up residence almost anywhere, particularly where there is food and shelter. Pigeons are capable of breeding throughout the year and do not migrate far from their birthplace; this makes them difficult to remove. Feral pigeons are a common pest and tend to pose more of a nuisance for residents rather than a risk to health. Hygiene concerns due to an accumulation of pigeon faeces. Pigeons are able to roost on very narrow ledges, beams and roof lines. In the urban environment building facades, roofs, bridges and jetties provide plenty of roosting options and human activity provides a variety of food sources. In Gawler uncontrolled pigeon flocks have become a health and safety issue. Building owners and community members also complain about the mess and destruction these birds create. Council prides itself on its history, historic and architecturally significant buildings, heritage, Kaurna culture and eco- tourism. 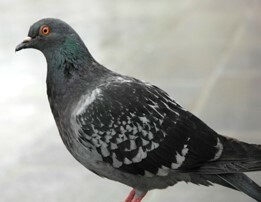 In large numbers, however, pigeons do a great deal of damage to buildings due to the acidic nature of their droppings. Feathers, eggs and dead birds also foul the environment and buildings, sometimes blocking gutters which can lead to flooding in rain events. Management of large numbers - undertaken by a licensed pest controller. Some businesses in the area, as well as Council, have already undertaken extensive pigeon proofing of their buildings by using spikes and fine wires. These deterrents are effective in reducing the number of birds able to land and roost on building ledges, window sills and roof tops. Along with this, new building work should also look at designs that do not provide roosting points and ledges for the birds. It is unlikely we will ever be rid of pigeons; however, Council endeavours to keep the population under control. To achieve this, all sectors of the community must be willing to assist by limiting harbourage and/or food. NOTE: Never feed feral pigeons. A plentiful food supply encourages year round breeding; therefore, the removal of the food source will result in less breeding and will also encourage the pigeons to move to another location. For further information please contact Council’s Environmental Health Section on 8522 9211, SA Health at http://www.sahealth.sa.gov.au/... or a reputable pest control company. The number of pigeons in an area is determined by the availability of a sustainable food source. The most effective way of discouraging feral pigeons from infesting houses and public areas is to remove any potential food source (for example pet food and water). Little Corellas in the Gawler area cause considerable problems including damaging trees, reserves, ovals and disturbing residents with loud squawking and displacing other wildlife. A range of non-lethal management strategies have been trialled with little success. There is significant public contention regarding Little Corella management and, despite the large range and seasonal movements of corellas, management is rarely coordinated at a state and regional level often leaving Council to undertake response programs within their own jurisdictional boundaries with little impacts. 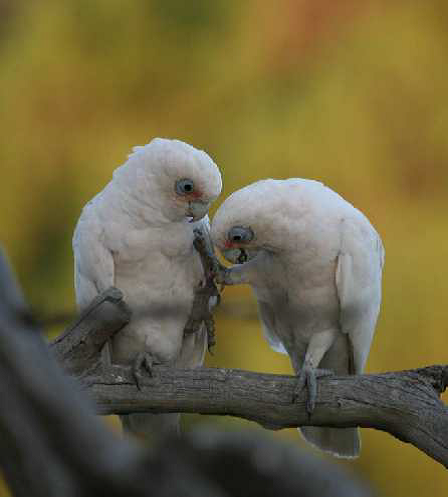 Council’s expectation is that the Little Corella Management Plan for South Australia, will help all stakeholders make informed decisions about little corellas based on strategic actions supported and promoted by the State Government. The report highlighted that there is no “quick solution” to fix the issues caused by little corellas. Most project participants agreed that some form of little Corella management is needed. Few people overall disliked little corellas, but many disliked their destructive behaviours (particularly to trees) and the noise they create. Noise associated with flocks of birds. The inability of some residents to be able to relax at home due to the noise and complaints from customers about bird noise to businesses in affected towns. Damage to trees. This includes native trees and ornamental exotic trees. Damage to ovals and recreation areas. Litter such as pine cones and small branches on roads, footpaths etc. Increased cost to Council, businesses, and residents of cleaning up after birds. Damage to buildings and infrastructure. Includes damage to TV antennas, window seals, vehicles, roof tiles, fencing etc. Impact on human health. Includes reports of depression, anxiety, health issues relating to pollution of water tanks, stress from noise and mess caused by birds. to co-develop an integrated State-wide management strategy for little corellas in partnership with DEWNR. The outcomes of the research will be utilised in the development of the state-wide strategy. Currently Council utilises non-lethal measures such as the use of blank shot gun shells and bird fright shells that scares the birds away. It does not kill birds. For further information please contact Council’s Environmental Health Section on 8522 9211 or a reputable pest control company. Council does not remove or powder bees that are located on private property. Bees and wasps on Council land will be powdered or removed once the nests are found. If bees or wasps are found on Council property, please contact the Council on 8522 9211. If found on private property, you will need to hire a beekeeper found in the yellow pages.